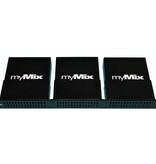 The RX-2 is a rack-mountable remote controlled networked mixer for the myMix system. It comes in a solid metal housing (1U) and is designed to be operated by the myMix Control web browser based interface.The RX-2 has the same mixing capabilities as a standard myMix: it can select up to 16 audio channels from the network and create a stereo mix, controlling volume, pan, tone control and stereo effects perchannel. 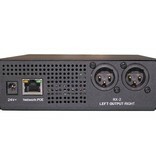 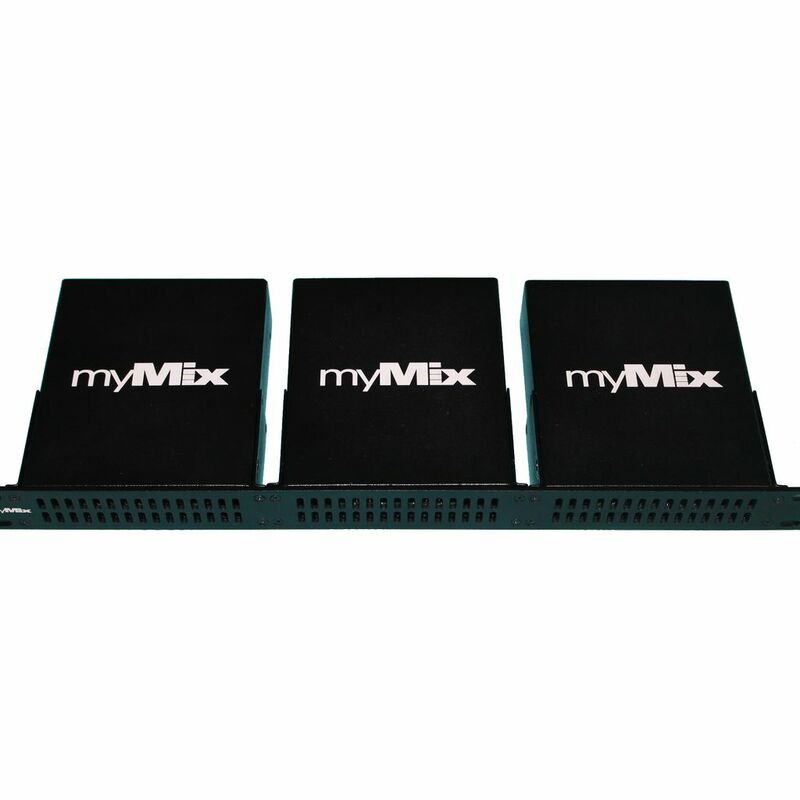 The myMix network can manage up to 500 audio channels which can consist of local inputs from myMix mixers, analogue or digital inputs to IEX16 input expanders, or stereo mixes from myMix mixers.The RX-2 is ideal for transporting a mix that is created on a myMix in one place via the network to another location, e.g. 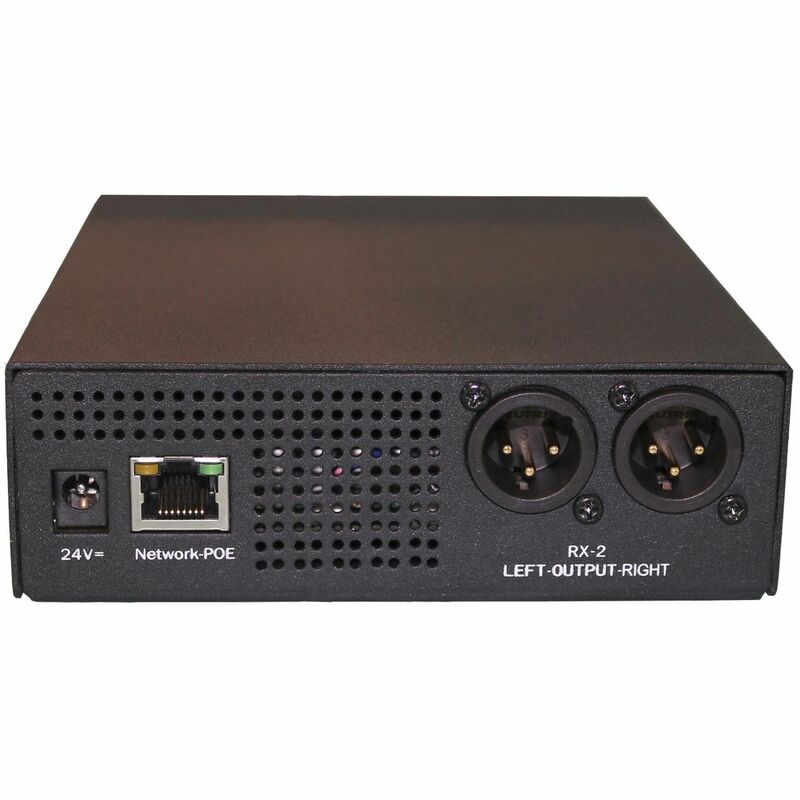 a musician on stage is creating a stereo mix and is sending that mix to the network. 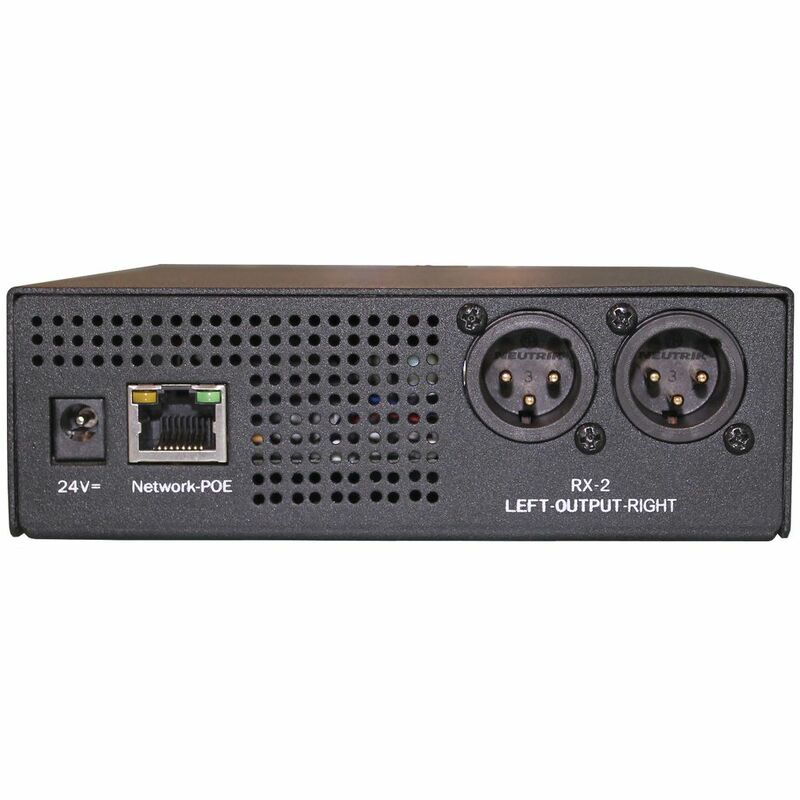 The RX-2 selects that mix signal and can add some extra channels like talkback or intercom from other sources; the output is then fed to a wireless transmitter for in-ear monitors. 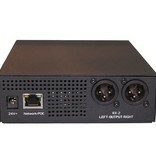 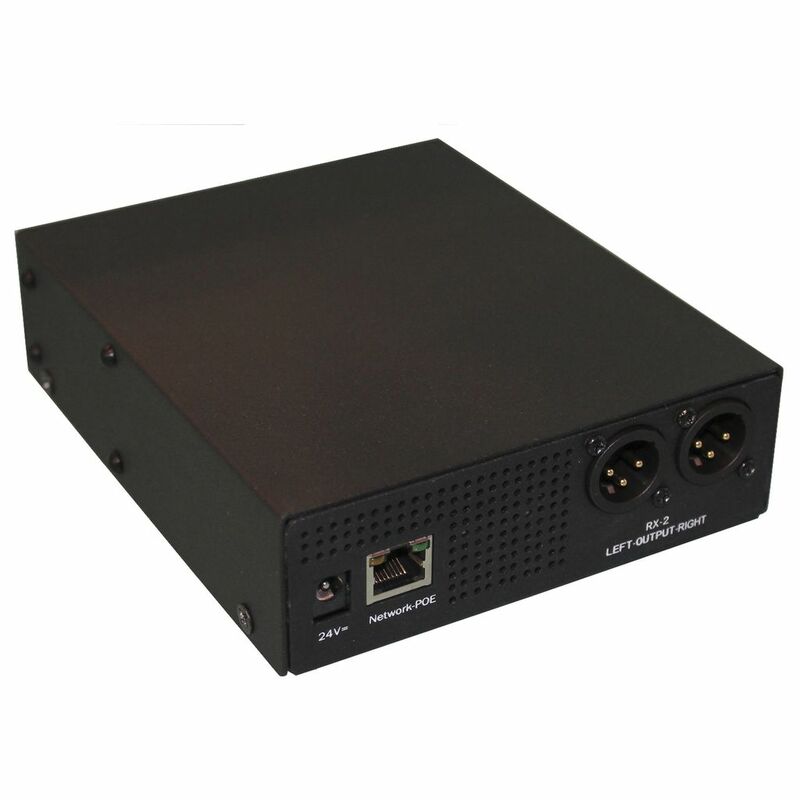 The optional RX-RM rack-mount kit allows to fit three RX-2 devices in 1U rack space.